The ALMA Observatory circulated a report of issues affecting mosaic images produced with CASA in ALMA Cycles 1-5. Over the course of the last several months an issue in CASA mosaic imaging was recognized. The Observatory elected to understand and characterize the issue before informing the user community of potential impacts on the resulting images. The CASA team has now identified a couple of issues using both the 7-m and 12-m arrays over the course of the past few cycles and CASA releases. The full extent of the data affected is still being investigated. You can read further details on the identified issues in this link to the Science Portal. A detailed report on the outcome of the ALMA Cycle 6 Proposal Review Process is now available. The report details the proposal review process, proposal statistics, and regional distributions, as well as the proposal distribution across science categories and receiver bands. The highest priority Cycle 6 projects are listed at this link. You can find the original announcement in the Science Portal. 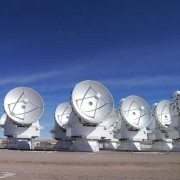 The ALMA Observatory announces four filler programs that have been approved on the Atacama Compact Array (ACA), also known as the Morita Array. 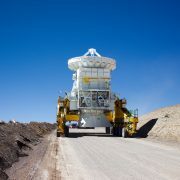 The programs were designed to fill a gap in the ACA observing schedule in the remainder of Cycle 5 between LST of 22 and 1.5 h. The programs were selected based on input from scientists at the Joint ALMA Observatory (JAO) and the ALMA Regional Centers (ARCs). The proposed programs were reviewed by the ALMA Integrated Science Team (IST) with final approval by the ALMA Director. 2017.A.00043.T: Time evolution of CO & H2O in the Martian atmosphere during a large-scale dust storm. This project will monitor the evolution of CO and H2O in the Martian atmosphere during the recent dust storm. This project will map the spatial distribution of the 492 GHz neutral carbon line in four nearby galaxies. The galaxies and map sizes are listed in the Table. This project will map a large area (~ 0.34ox 1o) toward the North bar in the Small Magellanic Cloud (SMC) in 12CO(2-1), H(30) alpha, and the continuum. This project will conduct a survey of Planck sources at high galactic latitude in the Band 6 continuum to determine the nature of these sources. These observations could also potentially identify new calibrators for ALMA high frequency observations. The data from the proposals will be quality assessed by the JAO and released through the ALMA Archive with no proprietary period. 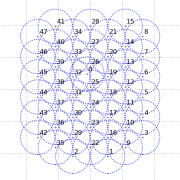 Any remaining PI science programs and activities to commission new capabilities on the array will have priority, and therefore the above programs may not be completed in full. to upgrade the associated electronics and correlator. These developments will advance a wide range of scientific studies by significantly reducing the time required for blind redshift surveys, spectral scans, and deep continuum surveys. In order of scientific priority, receiver upgrades are recommended for intermediate (200-425 GHz), low (< 200 GHz), and high (> 425 GHz) frequencies. The Board acknowledges that there are other potential development areas for the future for which the science cases and technical feasibility need to be further demonstrated. 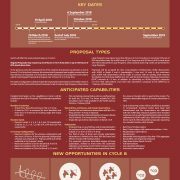 You can directly access the PDF document at alma-development-roadmap.pdf. A detailed report of the Cycle 6 Proposal Submission Statistics is now available at the Science Portal. The report provides a summary of items such as the number of submitted proposals and time requested, subscription rates, and comparisons with the number of hours requested in previous Cycles. 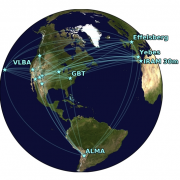 The ALMA Director, on behalf of the Joint ALMA Observatory (JAO) and the partner organizations in East Asia, Europe, and North America, is pleased to announce the ALMA Cycle 6 Call for Proposals. 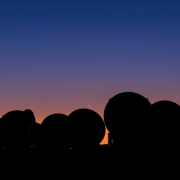 It is anticipated that 4000 hours of the 12-m Array time and 3000 hours of the Atacama Compact Array (ACA) time, also known as the Morita Array, will be available for successful proposals from Principal Investigators (PIs) in Cycle 6. New Science Verification data are now listed on the Science Verification data page (source no. 15 on the list: HL Tau). The raw data, calibrated data, reference images and reduction scripts are available for download here. 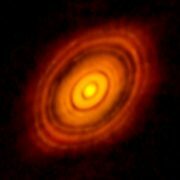 The original announcement can be found in the ALMA Science Portal. 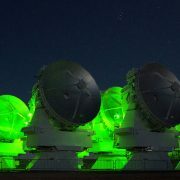 The development of a new spectrometer for the Morita Array, which forms part of the Atacama Large Millimeter/submillimeter Array (ALMA), has been approved by the ALMA Board. Developed by Japan, the Morita Array is composed of twelve 7-metre antennas and four 12-metre antennas.